Taylor Wiseman & Taylor performed base mapping and utility locating that would be necessary for design engineers and architects to utilize in the planning and development of a revitalized central campus. This project would realign existing streets, demolish and rebuild student housing, create parking decks and improve the utility infrastructure. TWT completed this initial phase to the University’s satisfaction and was asked to perform the second phase of the project with no competition. 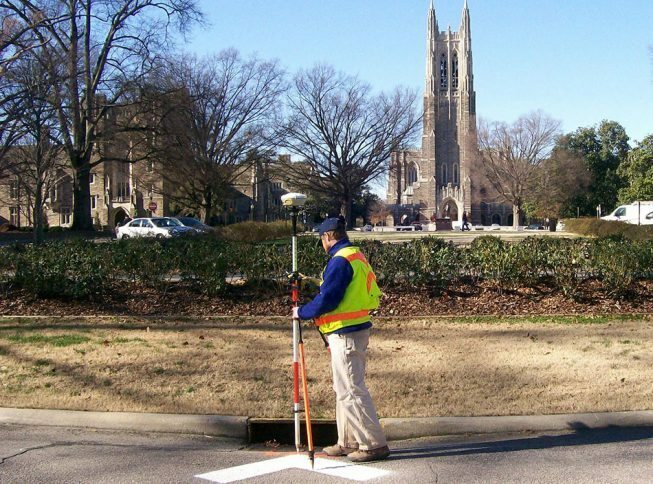 TWT was also contracted by Duke to convert the Phase 2 AutoCAD data into ESRI format for insertion into the University’s GIS database.